Creality3D CR - 10 3D Printer - MULTI EU PLUG w cenie $ | Chińskie kupony rabatowe, zniżki i okazje! Creality3D CR – 10 3D Printer – MULTI EU PLUG! Teraz w promocyjnej cenie $ Cena regularna to: $348.99, zaoszczędź i skorzystaj z kuponu na gearbest! 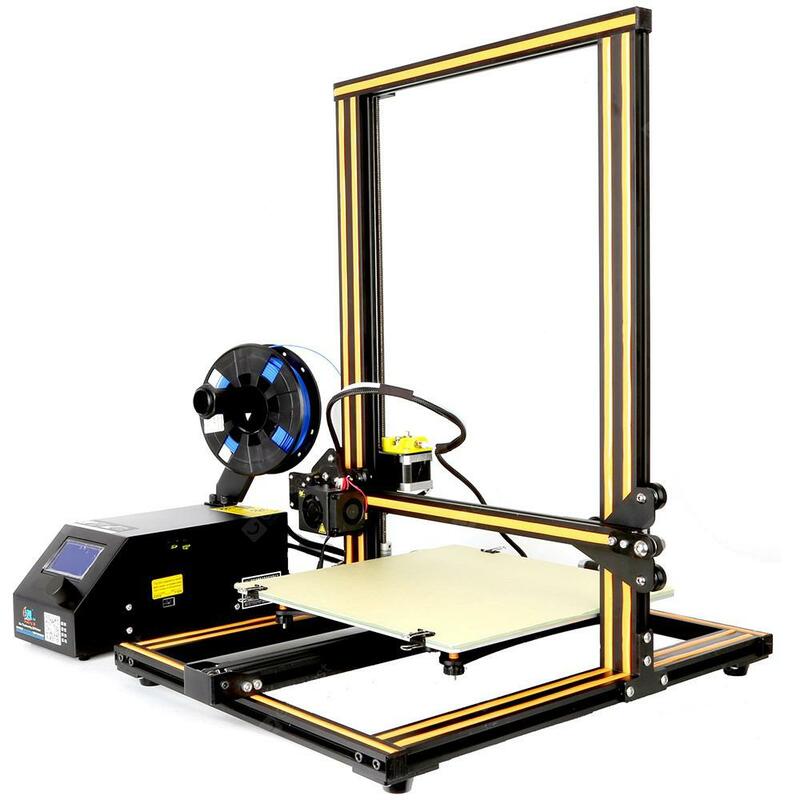 The Creality3D CR – 10 3D Desktop Printer is a 3D printer with the imported special aluminum frame. It features with super large 300 x 300 x 400mm build volume, standard 0.4mm nozzle diameter ( can be replaced to 0.3 / 0.2mm ). To maintain the garage-built feel and the handmade charms, CR – 10 3D desktop printer is also a build-it-yourself kit, which provides you an unforgettable step-by-step learning experience of 3D printer!